Wanna know more about Bill Gates. Bill Gates was Born in 1955 (28 October) in Seattle Washington United States. Who would have known that little boy is going to rule the world for more than 18 years? And will remain the world richest person for that long. Bill Gates attended a school which was near to the lakeside in his hometown. He used to take a lot of interest in programming BASIC language and immediately started to write mo0st common and basic programming structures. The BASIC language was the first language he started to write code in. He wrote his first program which allows users to play games with the computer. He was very fascinated with the programming techniques and always curious to learn and create more. After completing his school gates went to start his own business with Paul Allen at the age of 15. Will talk about his business later in this article. Lets more discussion his education. After he started his business his parents want him to study more for a better life. He then took admission in Havard College. He used to spend a lot of time using the school’s computers. He kept in contact with Paul Allen and went to his place for summer vacations. MITS ALTAIR 8800 was released on the following year. Gates and his friend Paul Allen realized the opportunity to develop a software fo0r that and they certainly did. At that point of time Gates decided not to go back to Harvard and he dropped out of Harvard. He told about his decision to his parent and they were supportive allowed him to leave Harvard for the best of his future in his own Company. 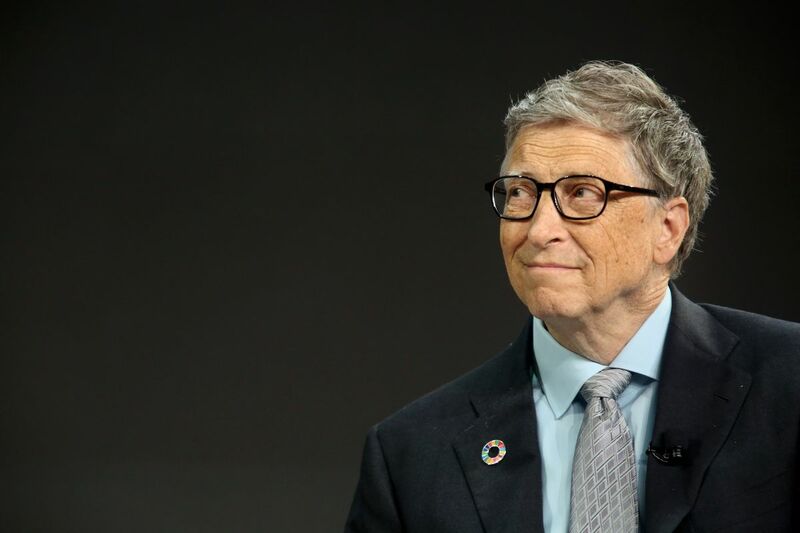 They already saw the passion of Gates for his own company that he always wanted to make. That we today known as MICROSOFT. 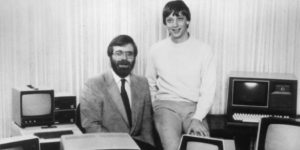 In 1975 Bill Gates and Paul Allen made their company named Microsoft that was the blend of microcomputers and Softwares. It was started rough but they survive because of the money they made from the ALTAIR software they developed. They started to create small software and tried to distribute them for free to make their company well kino9wn and they did succeed in that effort. Gates has always been an amazing businessman. He used to advertise his company in every way possible. In the year of 1975 Gates moved his company to Washington to expand it even more. 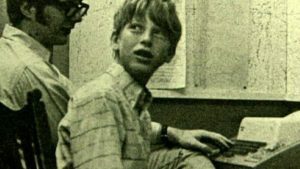 As the head of Microsoft in the year, 1979 Bill gates was having a worth of 2.5 Million dollars at the age of 23 only. He hired 25 employees under his team to manage Microsoft software. He used to writes every single line of code by himself or sometimes rewrites the code while double checking his employee’s code. In 1980, IBM created a personal computer where they wanted to run a fresh software. They hired Microsoft to do so. Bill Gates took the opportunity and developed a software for IBM. And delivered that t6o IBM for the price of 20,000 $. IBM asked for the source code of that software and Bill gates refused to give them the source code. Because he knew once the source code is given to them they can develop that or enhance that by their own. Being the creatively minded person gates asked IBM to pay for the license and fee of copies if that software. So that way every time that software will be installed in that IBM computer. Gates will be going to earn money. So Microsoft named that software under their license as MS-DOS. Right after the release of MS-DOS, the popularity and market value of Microsft went into the sky. From the yeat of 1979 to 1981 Bill gates increased their employees from 25 to 128. And the company worth increased from 2.8 million $ to 18/ Million dollars. In 1981 Apple invited Microsft to help develop software for Macintosh computer. Such an operating system which can be used by naïve users. Which shows the graphics. And made very easy for the user to communicate with computing machines. 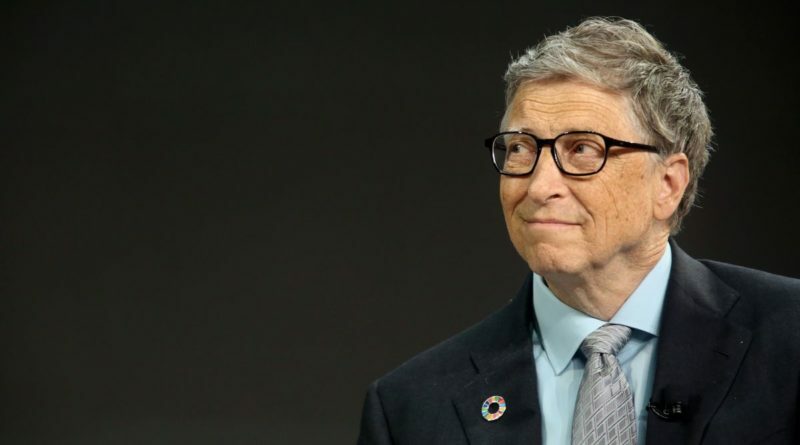 Thus gates realized this could be the future of computers so he started an advertisement campaign that a new operating system that will be called WINDOWS is going to be released where it will have images, text and very attractive user interface so each user can use it very easily. Although there were to such software were developing in Microsoft that was a genius step from bill gates because he knew that more then 300% of the market is using MS-DOS computers. He right now needs to leak such news so people who are using MS-DOS will wait for their WINDOWS instead os purchasing a whole new Apple Macintosh computers. After 2 years in 1985, Microsoft actually released WINDOWS. In 1999 his company worth becomes 101 Billion dollars. Since then there is no stopping this company from being the world most recognized company. From that day when Windows was first released Microsoft started to grow more and more. 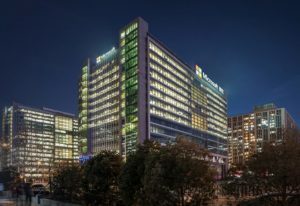 Today Microsoft has a worth of 72 Billion dollars. Revenue (2017) is 89.95 Billion dollars. In 2000 Bill gates left his post as a CEO of Microsoft and handed over to Steve Ballmer to focus on his charity works. In 1994 Bill Gates was married to Malinda gates who was the product manager in his own company Microsoft. Gates was 38 years olf and Malinda was 29years old when they got married. Now they have 3 children Jennifer Katharine (b. 1996), Rory John (b. 1999), and Phoebe Adele (b. 2002). 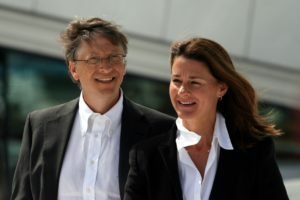 In 2000 Couple made an organization named “Bill and Malinda Gates Foundation” to help poor and needy people around the globe. Bill Gates has the highest amount given to charity ($35 billion) among the greatest philanthropist. Today Bill Gates has the worth of 93 Billion dollars and stayed as the richest person of the world for 18 years will this year when Jeff Bezos (Founder of Amazon) took over his spot and became the world richest person according to Forbes. 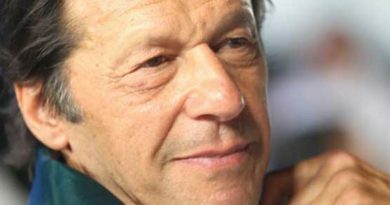 ← Who is Imran Khan?